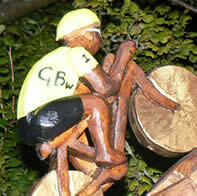 A sad farewell to the Greystoke Cycle Café Tea Garden…though Quirky Workshops continue. After years of welcoming cyclists with home-made fruity flapjack and lunches – as well as spare inner tubes and bike pumps - Annie Swarbrick and her family have taken the sad decision to close their Greystoke Cycle Café Tea Garden at Poplin Dub. Annie is hoping that cyclists and walkers will use the other facilities locally, such as the open air Greystoke Swimming Pool and the Boot and Shoe village pub and, on the C2C route in Penrith, Arragons Cycle Centre with its coffee and cosy log fire welcome. 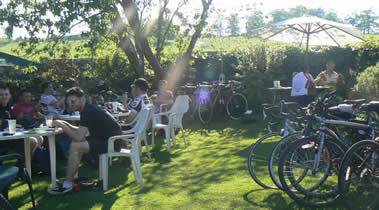 It is with great sadness that we announce the closure of the Cycle Cafe Tea Garden . First started as a small family business back in 2005, (when Cycle Cafe’s were few and far between) to provide much needed sustenance to the many weary cyclists on the C2C cycle route from Whitehaven to Newcastle, it became well known for its lovely location & food and was even voted one of the top Cycle Cafe’s in various cycling publications as well as in the Guardian and the Telegraph.